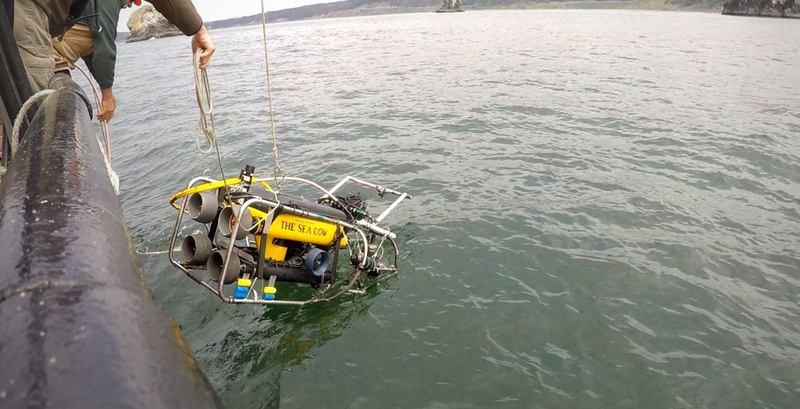 Guiding a Remotely Operated Vehicle (ROV) to the seafloor. As the first glimpse of the ocean floor came into view, ODFW scientist Scott Marion did a double-take. Instead of the usual murky green water that is typical the Oregon nearshore ocean, it was now crystal clear blue. 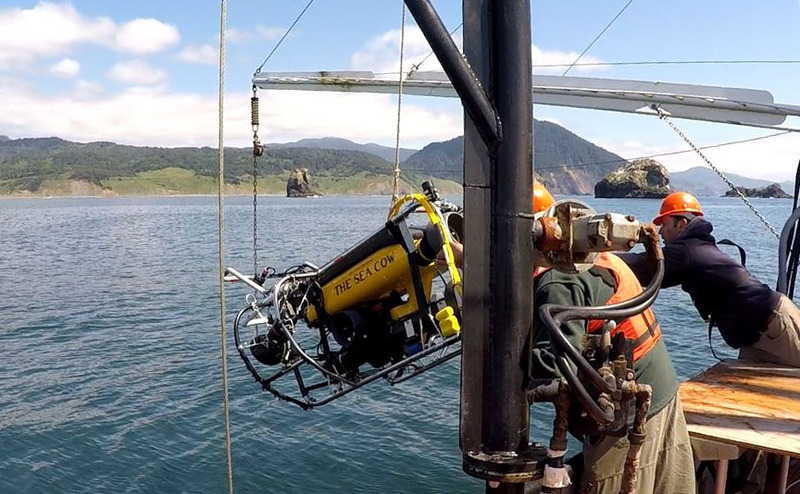 With his hands on the controls of a remotely operated vehicle, Scott expertly navigated it through huge underwater boulders and pinnacles teeming with life. It was mid-May, and the first day of a five-day research expedition conducted in and around Redfish Rocks Marine Reserve. The wind had been blowing hard from the north before the trip started, but had tapered off by the first day of the research trip. On each of the following days, Scott watched the ocean color change from the crystal clear blue, back to murky, pea-soup green. 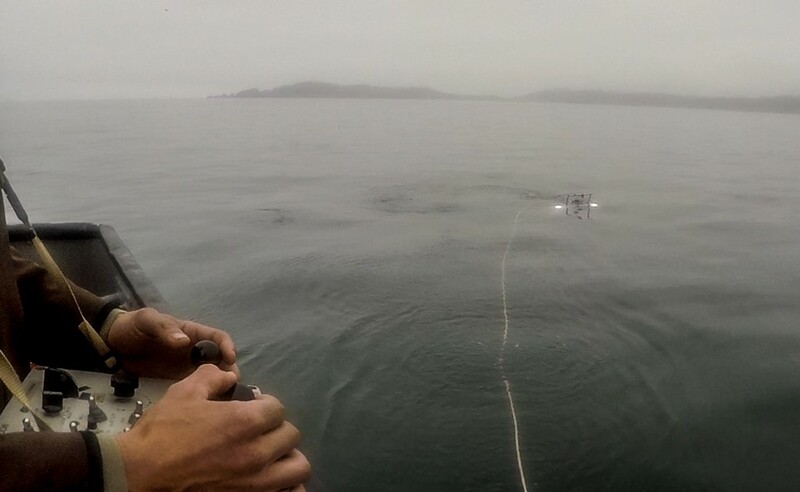 Launching a ROV off of the southern Oregon Coast. The reason for the dramatically changing visibility? Upwelling. While it can throw a wrench in scientific video surveys (it’s tough to count fish in murky water), this regular ocean phenomenon is anything but bad. It is crucial to sustaining ocean life and is the reason for the high productivity in Oregon’s nearshore waters. Winds that blow from the north along the Oregon coast drive deep, clear nutrient-loaded water to the surface. This upwelled water acts as a “fertilizer,” causing primary producers, like phytoplankton, to undergo a population explosion or “bloom.” Phytoplankton are food for zooplankton. And, thus, the benefits start moving up the ecological food chain. Upwelling is a regular occurrence off of Oregon, typically starting in the early spring and continuing into summer, and sometimes fall. While upwelling is nothing new to marine researchers like Scott, it is rare for researchers to catch the phases of upwelling on video. 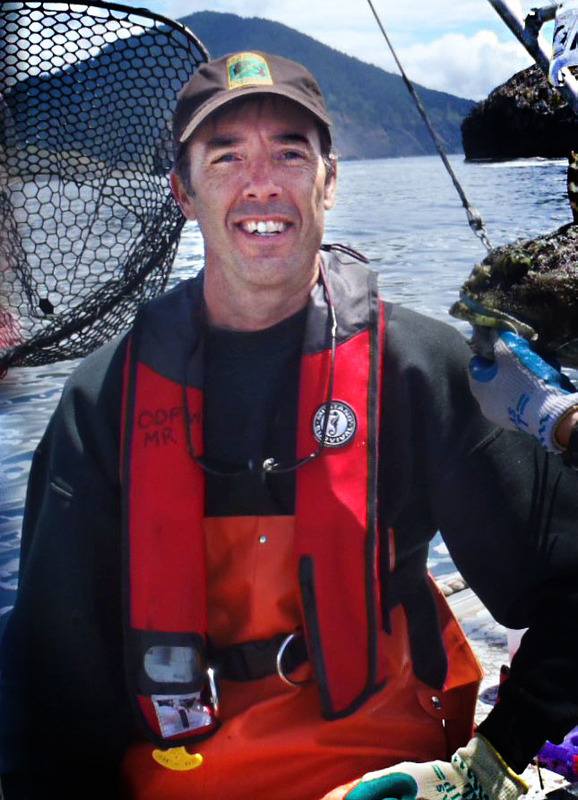 ODFW’s Marine Habitat Project, which Scott leads, has been conducting cutting edge habitat and nearshore fish research using underwater video cameras for nearly two decades (learn more about their research here). These valuable data give marine managers and researchers an understanding of the habitat available to fish, which is an important component of sustainable fisheries management. 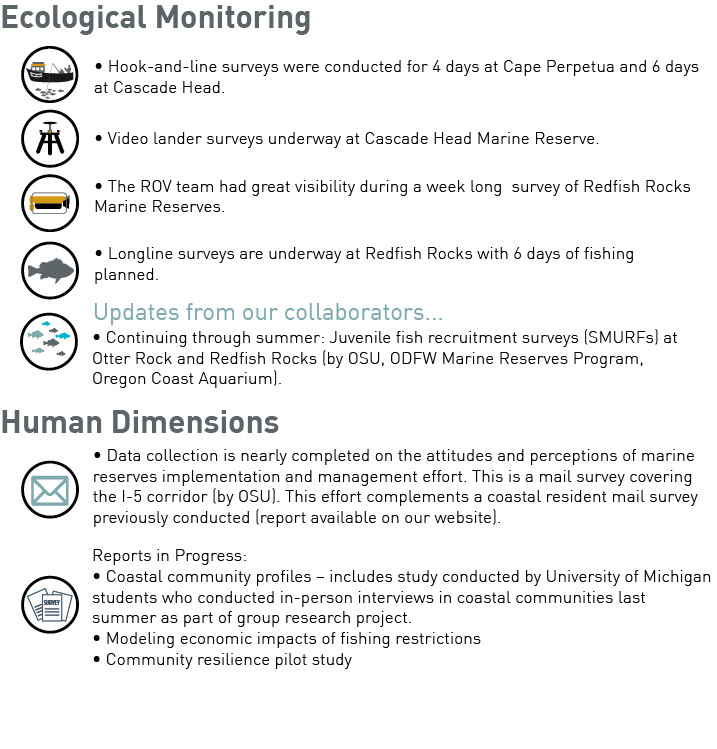 This most recent survey work was conducted in and around Redfish Rocks Marine Reserve off of the southern Oregon coast during mid-May, as part of ongoing marine reserves monitoring. The next research cruise is scheduled for this fall.